Beginning in 1906, the Blumenthal Brothers, a Philadelphia extract and soft drink supplier, began soliciting helpful hints from their customers. They were inundated with 777 suggestions by bottlers from all states (except Delaware and Rhode Island), Oklahoma, Indian, and Hawaii Territories, several Canadian provinces, and foreign countries. 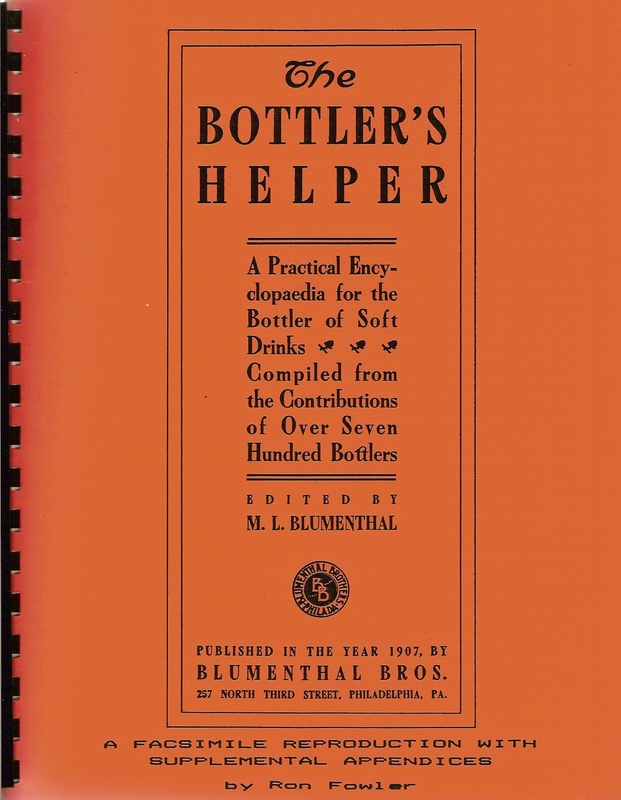 In 1907, Blumenthal Bros. published The Bottler's Helper, a compilation of the suggestions they received. 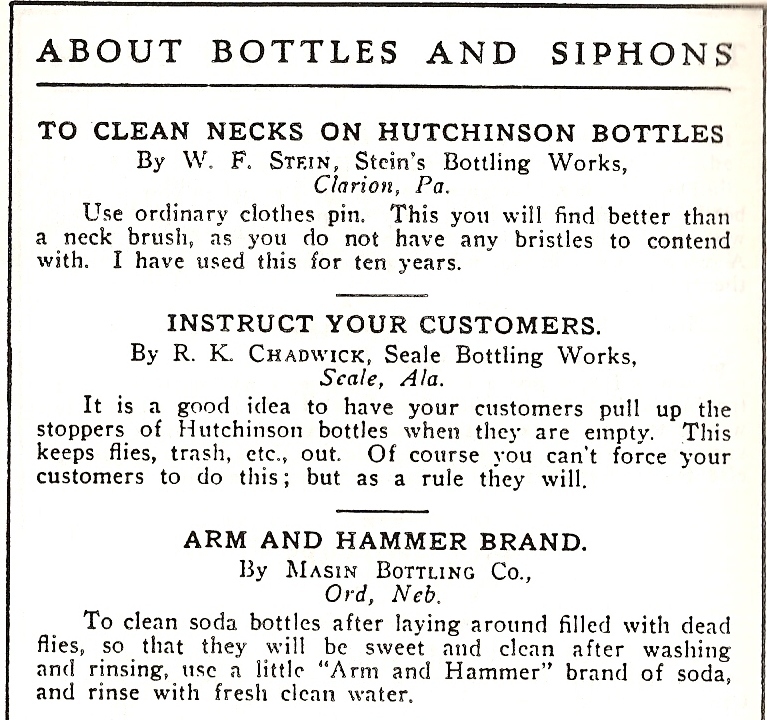 Whether you collect soda bottles from a specific geographical area, one particular style of closure, or simply want to learn more about the day-to-day operations of soft drink bottlers from the turn of the 20th century, The Bottler's Helper is a fantastic resource. Now, due to facsimile reproduction, the information in this extremely rare book is once again available to the public. In addition to the complete 307 page text, The Bottler's Helper includes appendices listing the page number, subject, firm name, bottler name, city, and state/province/country for each suggestion submitted. This data was sorted by subject, firm name, bottler name, and state/province/country, and an appendix printed for each, making The Bottler's Helper an invaluable resource tool.